Here is the full video of the Conference 934 at the Consulate General of France in New York City. The lecture in which Luc and other explorers took part, was moderated by Jim Clash, in January 2018. Luc is an entrepreneur, veteran adventurer, environmental advocate, author, member of the Explorers Club of New York. Luc is an engineer graduated from Ecole Centrale Paris. He is president of Sagax, a US-based investment and management advisory firm. His curiosity for the world and his love of adventure stem from his origins in Brittany. When he is not relaxing in his Connecticut tipi, he pursues a personal goal of traveling extensively across the globe, photographing and reporting from remote places in order to raise awareness for global causes. Over the years, Luc has led several expeditions in polar and glacier regions (e.g., Antarctica – 2003 to highlight the region’s importance as a regulator of global weather systems). In 2007, Luc has led a team of scientists to Greenland to explore the effects of climate change on local wildlife. 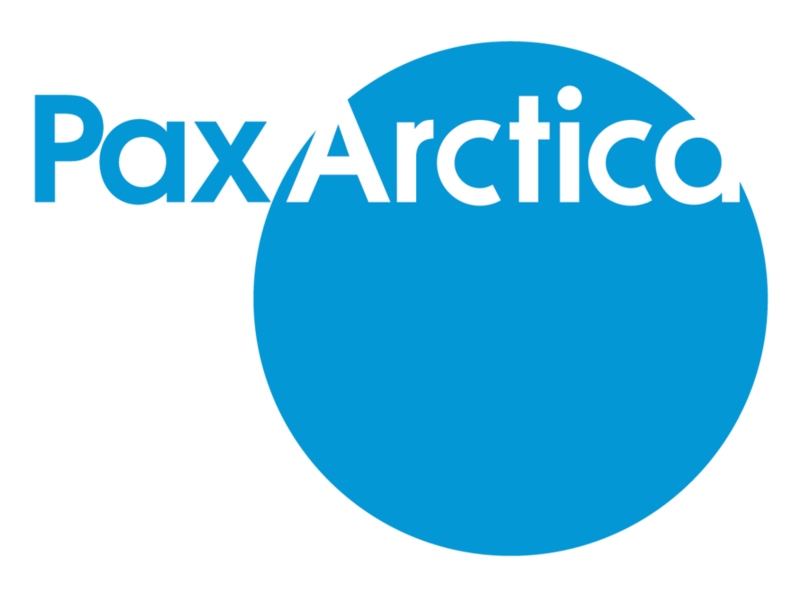 Additional expeditions have included: The Pax Arctica Himalayas Expedition – 2009, the Pax Arctica – North Pole Expedition 2011 and Focus on Greenland – 2011. More expeditions are to come as he continues exploring the globe in it's most remote places. All expeditions have included children as youth ambassadors and witnesses of the dramatic changes occurring in these regions. Luc’s voyages have resulted in the publishing of several books, including: Antarctic – Adventure (2004), Greenland – Impressions (2007) and Arctic – Transitions (2008) – "The Pursuit of Endurance" - On The Shoulders of Shackleton (2015). Luc is an avid and expert photographer who has been published in many publications (Paris Match, GEO, etc.) and exhibitions. 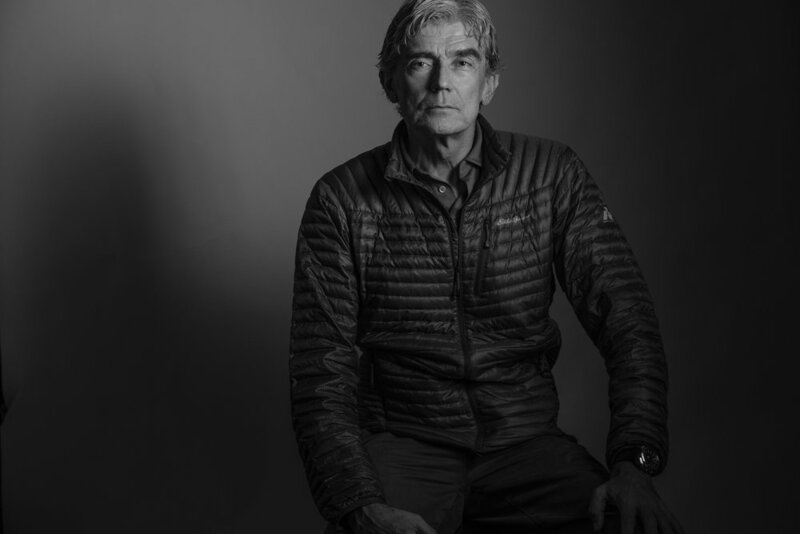 Luc Hardy, member of the Explorers Club and head of the NGO Pax Arctica Initiative, conducts scientific expeditions and has traveled to the remotest corners of the world to raise public awareness about environmental causes. Cave DiverNatalie L. Gibb, also a member of the Explorers Club, has been an active cave explorer since 2009, and has explored over twenty cave systems in Mexico. Vanessa O’Brien, member of the Explorers Club and of the Scientific Exploration Society, is the first American and British woman to summit K2, the second tallest mountain in the world, in 2017. "FASNY for our family and our kids has been a great combination of American spirit and French esprit. As parents, we took a risk almost 20 years ago when our daughters Flaam and Aïnhoa started their school life at a much smaller FASNY. We – and most importantly – they – are really happy we did. Most of you will retire around 2060. Quite a few of you will live until year 2100… so who am I really to even think of giving you some pieces of advice? But since I have been asked, I will do my best to help and make it less abstract by giving you a couple of examples based on my personal experience. When Joel Peinado, the school principal, asked me to give a talk today, my immediate reaction was “Je n’ai jamais fait ça… donc oui!”. I have never done it before, so YES! And I think that attitude of wanting to try new things all the time, curiosity, exploration, has really been a thread in my life, whether in France at a younger age or in the USA for the past 30 years. When I became an engineer, I just followed the family tradition: Father: Army engineer, elder brother polytechnicien… so I became an engineer. My ‘rebellion’ really started during Ecole Centrale, my engineering school in France. For my first internship then, I looked at what were the most disjointed opportunities in the list posted on the school board and ended up working on an offshore oil platform in Nigeria. At the end of Centrale, I found a way to create an internship in South Africa, when most of the world was boycotting that country because of Apartheid. And after school, although trained as an engineer with no marketing background, I went to work at Colgate-Palmolive in marketing! I very much remember the surprised interviewer asking me to pretend I was selling him my watch. I was terrified but somehow it worked. I got the job! The same happened with management consulting. In that firm, they had never taken someone who had not been to business school but yet my desire to work in consulting and showing curiosity must have worked because I did get the job! So, why am I mentioning this? Because if you are curious, dare and take risks, people will notice and appreciate and they will take risks on you too. All this happened to me because of curiosity and being ready to take risks and possibly suffer rejection. You can tell yourselves what I often tell myself: ‘ have no fear, the problems will come from elsewhere anyway’. My right arm is almost a testament to this. I recently fell on a pavement in Paris. Stupid fall. Result? 8-inch metal plate, 41 stitches, 11 screws, probably a year of physical therapy – all this because I was comfortable in Paris instead of taking risks on the other side of the planet… so, you see… And I tell myself it was my punishment for not being on an expedition elsewhere! Reinhold Messner…. Some of you might know him. Famous Italian climber who did the first solo ascent of Everest without supplemental oxygen [in 1978]. He recently said in a casual interview at the Explorers Club in New York: ‘When one goes and does, fear disappears. But when one waits and waits, it grows.” So go for it. Yes taking risks is easier said than done. But as you continue to get to know yourself and test yourself – you should – and will take more and more risks. The biggest one would be not to take any at all. So please do take risks. You will fail… and it might take lots of time and tries. But you will learn a lot and it will be rewarding. And you know, personally, I always told myself, if I fail or end up broke, I can always go to Australia and teach maths or French at a school somewhere. And it would not be a bad outcome anyway. So yes, Explore, take risks, discover but… try to have some direction and also be ready to change and adapt. 30 years ago, a friend from Centrale started his robotic startup right after school and passed the hat to friends to raise money – and I invested, a modest $3000 at the time. I doubled my money in three years and thought Venture capital was cool. That got me into the startup/technology world. I got more and more curious about investing in technology. Enough that I quit my consulting job. I knew I liked this the best but it was also very difficult quitting a safe and well-paying job. It really took a few years to take shape and I had to be patient and persistent. But whatever you do – don’t ruminate forever about an A vs. B decision. There might not be a bad choice. It would have been totally OK for me to continue as a consultant – or to work in Paris instead of coming to the US – or go back to France after a few years in the US. Inasmuch as I have done great things here, I think, who knows, in a way, I might have accomplished even more had I decided differently. So everybody tells you follow your passion, well, I am telling you that you can indeed be powered by multiple passions instead of agonizing over which one to follow. You will eventually find the right balance and how to do it all. It’s not like having a dual identity or being schizophrenic. It’s more like a right brain/left brain combination constructing a single more powerful brain and self. Actually, the best example I have of following my passion was in 1979, right after school: I was admitted on a full scholarship to do a master in Operations Research at MIT and Stanford (I had both choices available to me – fully paid) but because of passion for… a girlfriend in France, I started to work there: romantic passion before career, you see? And I eventually came to the USA four years later and eventually did quite well, so it was not a bad choice after all. And today I am an Adventurer and Venture guy. The profession does not really exist but I guarantee you that you can be exploring a crevasse in a glacier in Uganda one week, advising a tech startup in New York the next – and be off a month later to the jungles of West Papua to spend some time in a tree house with natives who rarely see Westerners. And actually you can also go to the North Pole with one of your start-up investors, as I did. So overlap between these seemingly different worlds is always possible. For me the Adventure and Venture epiphany happened during an expedition in Nepal almost 30 years ago. While trekking around the Annapurna, I got this revelation. Something inside me said you should do more of this and find ways to make it work with your business life, not just make it a once-a-year nice vacation. After quitting my consulting job, I knew I would combine both these passions, for startups and for adventure. Becoming bipolar in a way. You do not know when this will happen so keep doing what you like best, keep doing what you see yourself doing in the long term and keep surrounding yourself with the best people. And it will happen. And as I said earlier, you will enjoy the parallels in your parallel lives. Since many years now I have enjoyed both Adventure and Venture at the same time and I do enjoy the parallels. At the beginning I was shy at exploring bridges between these two worlds but was encouraged to do so over time. I am just back from the Antarctic Ocean where I led an historical eco-adventure expedition. It was the ideal expedition to combine startup and adventure leadership. I was managing lots of skills: photo, filming, sailing, trekking, climbing ice, drone piloting over beaches filled with hundreds of thousands of stinking seals and penguins – and trying to make birds not to chase my drone – pulling sleds during awful weather, dealing with personalities including British soldiers, a champion wingsuit jumper and snowboarder woman with a certain ego, a scientist, a boat crew… And not to mention the fund raising aspects that are key to adventure and startup success. Anybody else can do a job you don’t like but you are the only one who can do the job you love. You live in a generation where anyone from Peru, Bangladesh or Tanzania can compete with you in whatever field you’ll chose, so chose appropriately, chose with passion, chose your passion, chose what matters to you. That’s ok if you don’t know how to code, or don’t speak Chinese. Don’t worry, you still can have a great life. For your major at university, maybe it means chose two majors! But in any event don’t chose a major based on how much money you think you can make once graduated. Think who you want to be in 10 or 20 years and plan on it now and become that person ASAP. Study your models now, if you have any. And even if you don’t go to McGill or Georgetown, you will be fine. In fact it’s all about perseverance and resilience. Traits that I probably have in my DNA as someone from Brittany, but that anybody can develop. In my case one might have said – I have also always been a sort of delusional optimist… I don’t see obstacles, just the vision of the goal at the end of the effort or on the other side of the mountain. I came here in 1983 with 2 suitcases but it took another 10 years to know really who I was and what I was capable of: An adventurer and an investor. That’s what I am good at. Yes, I had some luck early on – but I also lost a lot: I even was close to losing my life in one or two of my expeditions – but resilience got me back on track, the ability to surpass yourself, to be better than you were last time is probably the quality I am the most proud of. Cultivate this. Whatever you do – even if it is for a few months. Each day, get better at what you do. Often to my surprise and embarrassment, I am recognized as a world adventurer and explorer and maybe by some as a world-class investor but guess what? Try 30 years, over 100 investments and 130 countries. That’s what it takes. Each experience led me to the next one. I got involved with bad and sometimes dishonest entrepreneurs. Lost some money and countless weeks of working for nothing. Or so it seemed. But resilience paid. Every time – I learned something new that I got to use for my next project. The same is true of my expeditions. You should have seen me in the Himalaya 20 years ago. You know, it was a joke. So unprepared, not the right equipment, but you learn and you learn and you learn. The world is open to those of you who love to learn until the day you die. You are never, I repeat, never ready. And yes connections help, but don’t get crazy. Yes, in my investment and adventure activities, I am now getting some of the benefits of having a great network, of having this intuition when I see a business plan – or meet an entrepreneur to see if she or he has what it takes. People say the connections and relationships you make in college will help you for the rest of your life… Yes – in a way but don’t get crazy. Don’t LinkedIn like maniacs. For 40 years, I have only stayed in touch with one person from my high school. And three more from college, and I did OK. So my overall advice would be find balance now! … and it does not just mean exercise at the company’s gym. It is deeper than that! Never fall in the trap of I’ll have a life when I retire. In other words: Be curious now, be creative, be outside the norm, rebel if you must and don't take what you are told for granted. But whatever happens, don’t agonize over your choice. Most decisions are reversible or will turn out for the best. Don’t sweat over it. I don't want you to say in 20 years “I wish I had spent at least part of my life doing something I really liked”. Please just do it now. That reminds me of when I was in Antarctica 12 years ago. There was a hand written journal left by a lady scientist at the base camp. Thank you all very much and Good Luck!"